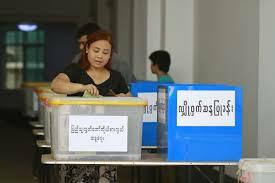 Despite the trickle of the last few constituencies left to declare their results, the outcome of last Sunday’s election is clear – the National League for Democracy (NLD) have won by a landslide. The NLD have claimed more than 75% of all seats called in both the regional and union legislatures. At present, they have a majority of 38 seats in the lower house and 23 seats in the upper. People took to the streets to celebrate across the country from as soon as the polls closed and they aren’t showing signs of stopping any time soon, and seemingly with good reason too. In my last blog on what we could expect from the elections, I noted that people were largely aware of the problems in Burma’s electoral system, but “the biggest optimists are simply hoping for the flawed process to roughly reflect the will of the people,” and that does seem to be the case. The exact number of votes for each party is yet to be released, but a conservative estimate of 65% of the electorate having voted for NLD seems roughly in line with them controlling a comfortable majority. Furthermore, barring the shameful disenfranchisement of the Rohingya and other Muslims all over the country and the elections being cancelled in Townships in Shan State due to continued fighting – both of which I discussed in my last blog – there have been minimal claims of foul play. There has been an argument in Arakan State, in which losing candidates have refused to sign off on two contests after the a huge count of advance votes put the ruling Union Solidarity and Development Party (USDP) ahead of its rivals, and a claim that Vice President Sai Mauk Kham rigged his constituency in Shan State with a similar method. However, these instances seem to have largely been the exceptions rather than the rule. Indeed, a spokesman for Burma’s President said on Thursday that Barack Obama called to congratulate Thein Sein for holding ‘free and fair’ elections. The international community seems to have generally echoed these sentiments. Is the Burmese, and for that matter, the international, community right to celebrate this apparent victory for democracy? Will Aung San Suu Kyi’s party be able to convert their unwavering mandate in to real change? The smart money suggests not on both counts. The army still maintains an incredible amount of power. In my last piece I noted that three key departments of the executive are still appointed by the military, which analyst Francis Wade expands on: “The Defence Ministry controls the armed forces and the Border Affairs Ministries overseas the affairs of the ethnic states, the remit of the Home Affairs Ministry is more expansive: it controls both the police force and the General Administration Department, which manages all administrative functions from the state level down to village level”. Ultimately, all matters of security are still controlled by the military, including the peace process, which could well falter further if the trust between the military and the ethnic minorities erodes, regardless of who controls the executive and legislature. Of course, such appointments are constitutionally protected, and a constitutional amendment requires more than a 75% majority in parliament, which leaves the military able to block any attempt at reform. A quarter of the Burmese Parliament will still be reserved for the military. Furthermore, the constitution gives the military the ability to take back power for dangerously vague reasons. Article 40(c) decrees that: “If there arises a state of emergency that could cause disintegration of the Union, disintegration of national solidarity and loss of sovereign power or attempts therefore by wrongful forcible means such as insurgency or violence, the Commander-in-Chief of the Defence Services has the right to take over and exercise State sovereign power”. It is worth pausing to think how widely this could be interpreted. For example, the infamous anti-Muslim ‘Race and Religion’ laws, which adds restrictions to religious conversions and interfaith marriage. Should the NLD try to rescind these laws, the army may decide – and have considerable backing from a large part of the country’s Buddhist majority – that this constitutes an attack on national solidarity. Furthermore, the continued conflict in Shan State (as well as other ethnic minority areas), which has intensified in recent days, could certainly be justified by the military as reason to declare a state of emergency. Of course, the military would be subject to harsh international and domestic criticism if they were to do so, spoiling Burma’s chances to remove the ‘pariah state’ label that it earned over the years of military rule. However, as they showed in 1990, if they feel under threat, they are not afraid to seize power. The likely result of these powers is that it will create a stand-off between the NLD and the military, in which any issue of contention must be carefully negotiated, or else the NLD would be continually looking over their shoulder for fear that Burma is plunged yet again into military rule. The NLD are keenly aware of the need for compromise going forward. Prior to the election Suu Kyi declared that “even if we win 100% [of the seats], we would like to make a government of national reconciliation in order to set a good precedent for our country. It shouldn’t be a zero-sum game where the winner takes all and loser loses everything”. To truly deliver this it must be include not only the military – who they must retain a positive relationship with for the country to function – but the smaller parties that represent the ethnic minorities. Independent analyst Richard Horsey explains the difference between winning this election compared to one in a more secure political system: “If you have a stable democracy, a massive landslide is a mandate to implement one’s policies. In a transition arrangement you want to try and keep everyone on board, and that requires building bridges and keeping the policy inclusive. Landslides can be polarizing, and can make people feel exclude and that’s dangerous in a transition”. The opportunity to keep everyone on board represents a fantastic opportunity for Burma – difficult issues such as the peace process and human rights cannot be solved without a coming together of all the concerned groups. If – and it remains a big if – the NLD can convince both the military and the ethnic minorities that working together is in everyone’s interest then there is a chance to make important progress. However, seldom is politics so simple. Even if progress is made in Burma, it will be slow. The military is not going to give up its considerable power overnight. And the deeply ingrained attitudes that occupy both sides of the conflicts in Burma will not be easily changed transformed. Therefore, the near future for many in Burma remains bleak, as Mark Farmaner, director of Burma Campaign UK, correctly asserts: “A long slow transition means many more years of human rights abuses. More women raped by the Burmese Army, more political prisoners, more villages burned. The victims of human rights abuses can’t wait for a hoped slow transition. They need genuine democracy, and they need it now. For them it is, quite literally, a matter of life and death”. It is clear that the NLD will be able to do little to influence the army in matters of ‘security’, nor will they be looking to bring those to justice who have committed these terrible crimes in the past. In many senses, we can expect business as usual. Some commentators have argued that the army ought to feel like they have made a strategic error in permitting these (mostly) free and fair elections, arguing that the military “is surely disappointed that it did not block Suu Kyi from obtaining the 67% vote that she needed to control a majority of the parliament”. This view is misplaced. The army is as dangerous as ever. The only difference is that their power has transformed over the past five years from overt to covert. They are winning praise both domestically and internationally for ‘opening up’ Burma, but this praise is only warranted if it is the beginning of a longer transition in to real democracy with a lasting peace and human rights for all. In short, what’s next for Burma relies heavily on how the army see their future, but real change cannot happen without their acquiescence. 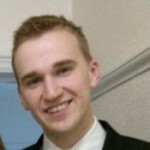 Joe is a research campaign intern at HART. He has recently completed a MA in International Politics from the University of Hull and has an interest in philosophy and political theory.